This entry was posted on February 9, 2011 by Russell Smith. 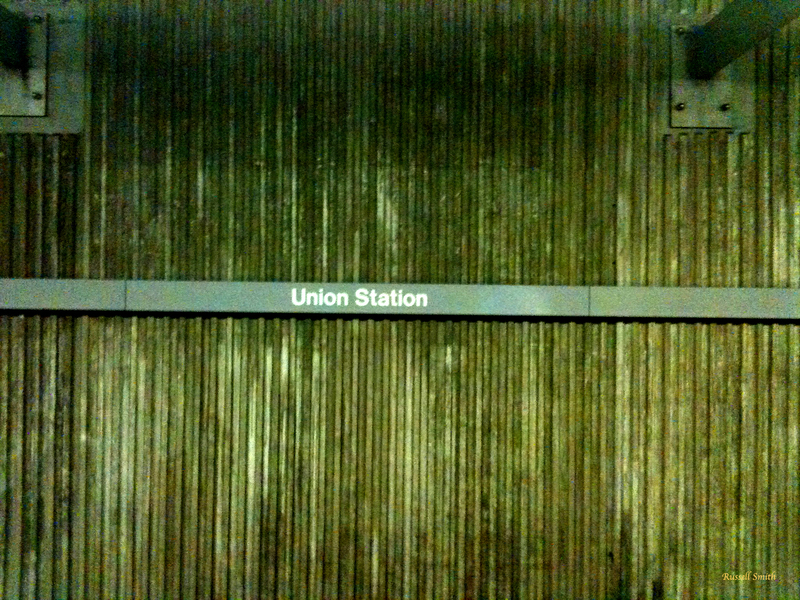 It was filed under Architectural, Urban and was tagged with postaday2011, signage, subway, Union Station. This is a really cool, evocative picture. I like this one too. I’m not sure why… It’s so stark. I played with some of the attributes in Photoshop. It’s much more interesting than the original. Ratcheting up the contrast can bring out gradients of color. Do you have Photoshop?